5:30 - 7:30pm: The Grapevine – Kick-off event featuring New World & German wines, live jazz music and, best of all, spectacular “Not From Texas” vacation package door prizes including trips to Savannah, GA; Orlando, FL; Kansas City, KS and more. 5:30 - 8:30pm: Gruene Hall – Private show and meet ‘n’ greet with Robert Earl Keen, catered dinner by Gristmill River Restaurant and a wine tasting with McPherson Cellars, Texas Southwind Winery and Texas Hills Wineries. Silent auction and The Great Guitar Auction with autographed guitars by George Strait, Willie Nelson, Robert Earl Keen, The Mavericks, Lyle Lovett, Patty Griffin, Joe Ely, Lisa Marie Presley, Jerry Jeff Walker, Joe Ely, The Old 97’s, Stoney LaRue, Chris Isaak, Kim Wilson of the Fabulous Thunderbirds and The Departed with Cody Canada and Seth James. 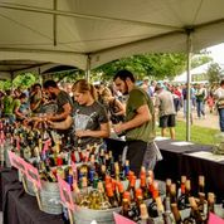 Noon – 6:00pm: The Grapevine Grounds – Taste over 90 different Texas wines from over 30 different wineries, grab a snack in Le Cordon Gruene Food Alley and shop the craft market all to the beat of live, original Texas music. 1:00 – 6:00pm: The Grapevine Grounds – Brew-n-Que with the very best in beer and Texas BBQ. Original Texas tunes showcased live throughout the day. 2:00 – 10:00pm: Gruene Hall – Eight full hours of the very best in Americana music on two stages. 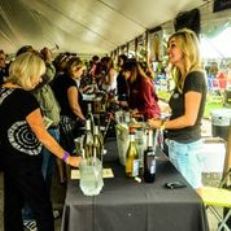 Among the 32 confirmed wineries that will have tastings and bottles for sale are Bell Springs, Fall Creek, Georgetown, Grape Creek, Pedernales Cellars, Pleasant Hill, Stone House Vineyard, Three Dudes, Val Verde, Westcave, and many more. 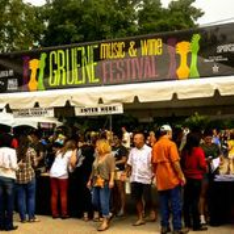 For complete listings of all vendors, please visit www.gruenemusicandwinefest.org. Information and photos courtesy of Katie Molack, marketing consultant for Gruene Historic District.